A Love Affair with Jurlique.. Recently i’ve been wanted to switch things up in my skincare routine, as i’m always on the hunt for products aimed at dehydrated and/or dry skin and when I stick to using the same products, I find my skin becomes quite dull as it’s used to the products. 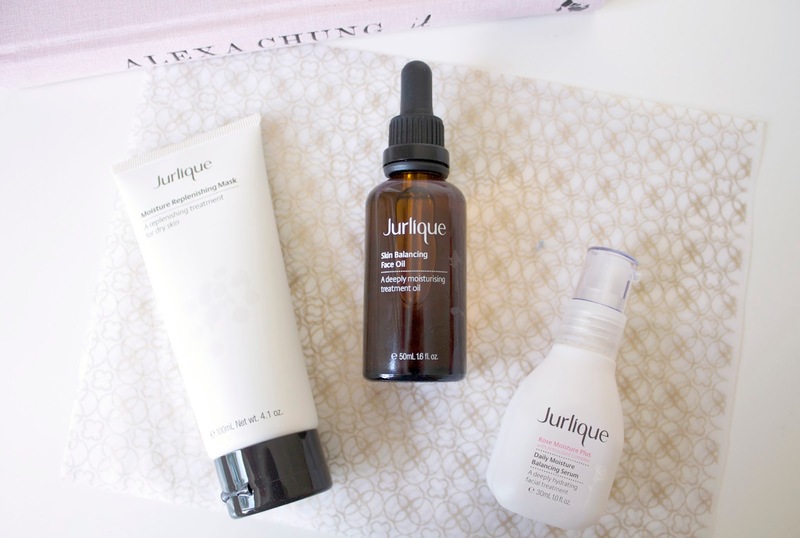 Some recent additions to my skincare stash from the lovely people at Jurlique have really been working to get my skin looking revved up, and radiant so I thought i’d share these with you. Starting with the Jurlique Moisture Replenishing Mask*, this is creamy clay mask that contains a bunch of different oils including avocado oil, carrot oil and aloe vera, which are designed to help address any dryness while protecting against any harmful environmental aggressors. I hands down love this mask. I use this at least two times a week, applying all over my face and leaving to set for a good 10-15 minutes. It has quite a refreshing tingly sensation that just boasts a floral lemon scent that just relax’s the skin and this leaves my face feeling so soft, yet moisturised at the same time. When it comes to face oils these are a very recent addition to my skincare routine, as I was really worried that they’d turn my face into an oily disaster, when actually they work really well to soak into any dry skin thus making them really manageable. The Jurlique Skin Balancing Face Oil* has been a godsend to my skin over the past couple of weeks. Again, this contains a bunch of oils that help to combat any visible signs of dryness, whilst also really moisturising the skin. It took me a little while to get past the potent rose scent, as it’s not one of my favourites but i’ve found that if I apply this at night it allows it to really sink in and work it’s magic. For me serums are my go to when it comes to combating my dry skin, so the Jurlique Rose Moisture Plus Daily Moisture Balancing Serum* was happily welcomed into my life. This is a silk textured serum that helps to fight any signs of dehydration, whilst also protecting the skin with essential fatty acids, oils and botanicals. As this contains rose hip oil, I was really expecting good things and it really has delivered. The texture of this serum is lovely to apply, and rather than rubbing this over the skin, I pat it on as I find it gets into the skin a lot quicker and absorbs better also. I use this on a daily basis and I love what it does for my skin as i’ve seen such a noticeable difference. It’s safe to say these three products alone have really changed the appearance of my skin, keeping any spots at bay and also keeping my dryness a lot more manageable. 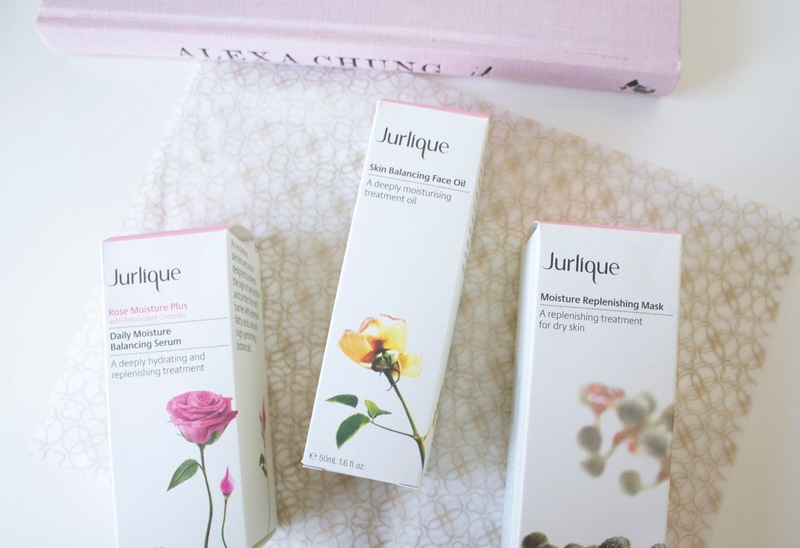 Have you tried out any products from Jurlique? *Products were sent for my consideration. All opinions are 100% honest.